After closing registration earlier this month, SDCC opened registration again this morning, only to have the site overload and crash. Again. Badge sales for the 2011 San Diego Comic-Con reopened this morning at 6:00am PST. This marked the second attempt to take fans' money, and the second failure: Once again, the registration site crashed within a matter of hours. This morning's sales were littered with error messages, causing grief amongst potential attendees. The problems were too large to sustain sales, and the official Comic-Con twitter recently announced that "Registration is now closed." 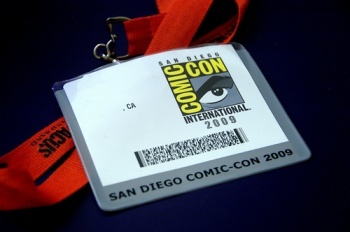 Registration for the 2011 San Diego Comic-Con originally opened on November 1, but organizers had to shut sales down within a matter of hours. The site was overloaded with fans attempting to buy badges for the July 21-24 convention, and was unable to sustain the traffic, crashing spectacularly. Comic-Con's official site has posted the following message, under a giant red REGISTRATION IS CLOSED: "Once more, unfortunately, there have been issues with Comic-Con registration. So we have again decided to close it down. We are well aware that many people have taken time from work, school or other activities and others woke up very early. There really is no way to convey our level of regret for this turn of events. We are currently researching our registration options." There is no word yet on when and how registration will reopen. Looking on the bright side, though, we know it's not already sold out.